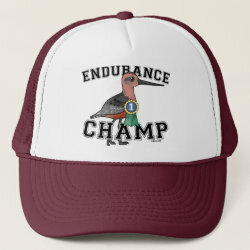 This original design from Birdorable features our cute Bar-tailed Godwit illustration. 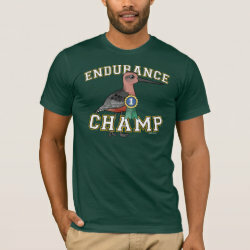 Bar-tailed Godwits are well-known as migration champions, holding the record for the longest non-stop journey at over 7,000 miles from Alaska to New Zealand. 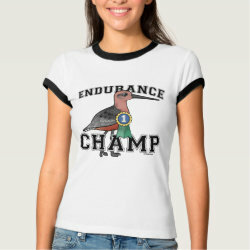 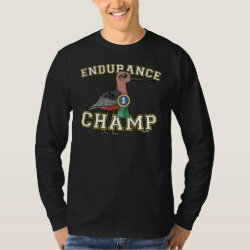 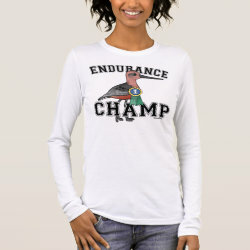 Text on more... this design reads ENDURANCE CHAMP in collegiate-style text. 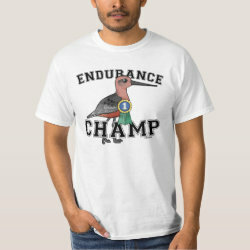 The cute bird is wearing a blue ribbon with the number 1 on it. 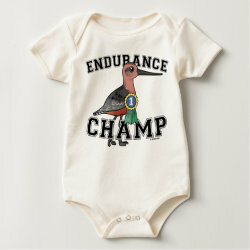 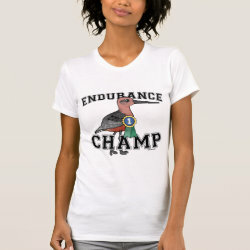 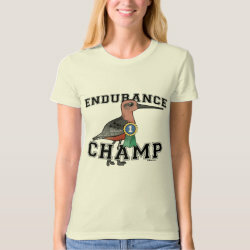 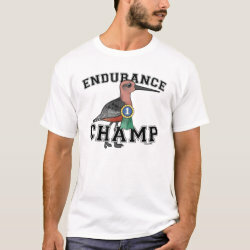 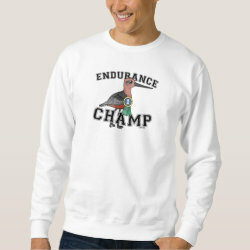 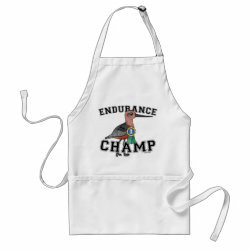 This is a very cute design and makes a fun gift idea for anyone into birds, migration, or long-distance running or racing.